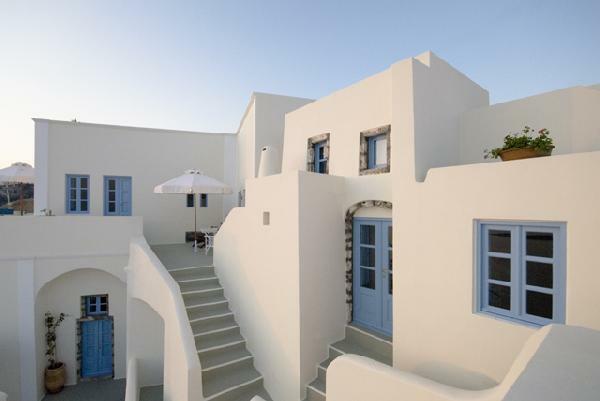 Pantelia Suites is a traditionally designed building in Fira Town. 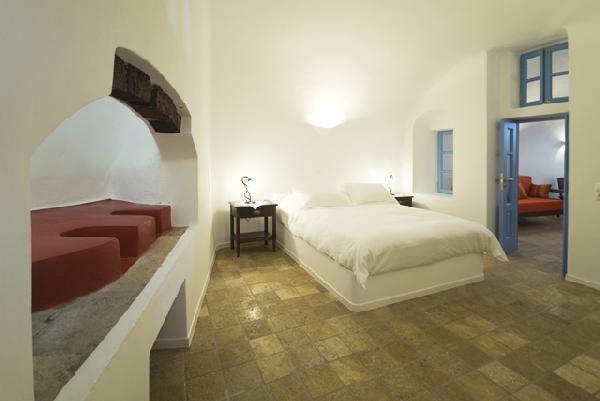 It used to be a traditional family house, which was completely reconstructed and now is housing 6 luxurious suites. 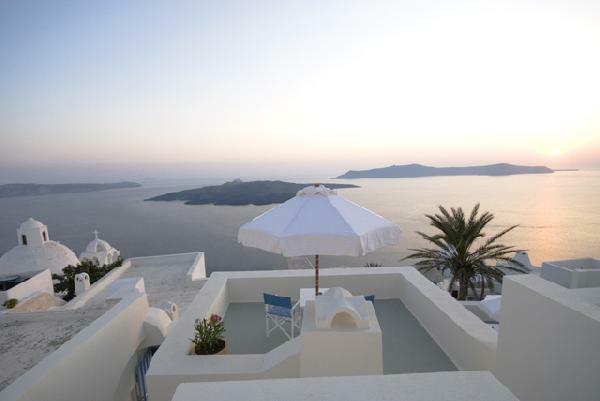 All Suites have breathtaking view to the Caldera gulf and the volcano. 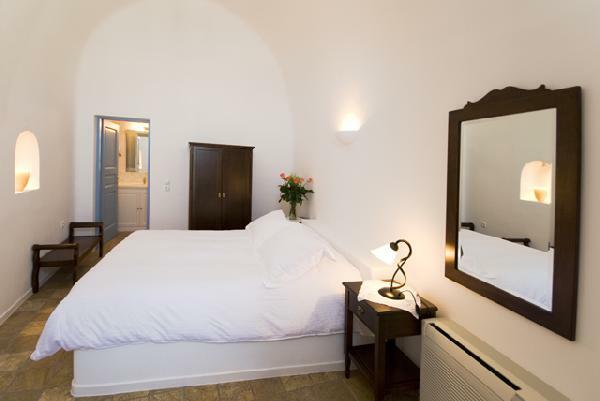 The traditionally designed suites offer all modern comforts for a pleasant and relaxing stay. 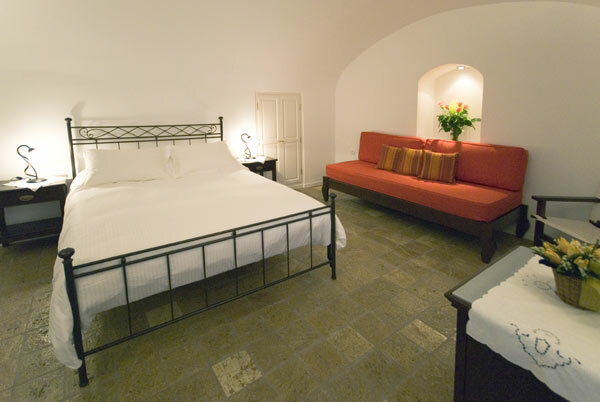 The experienced and helpful personnel of Pantelia Suites will make your stay unforgettable. 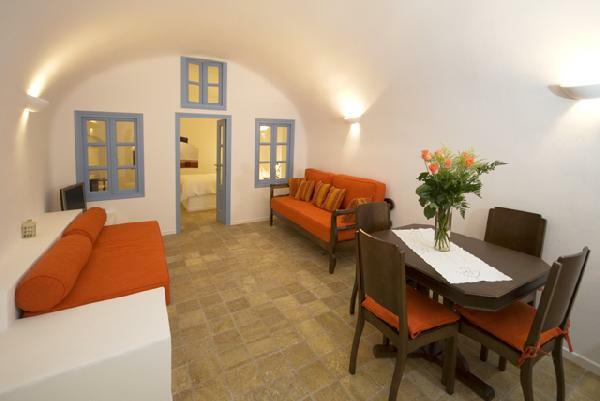 It is the ideal place for your vacation, as it is situated at the center of Fira, still in a quiet location. 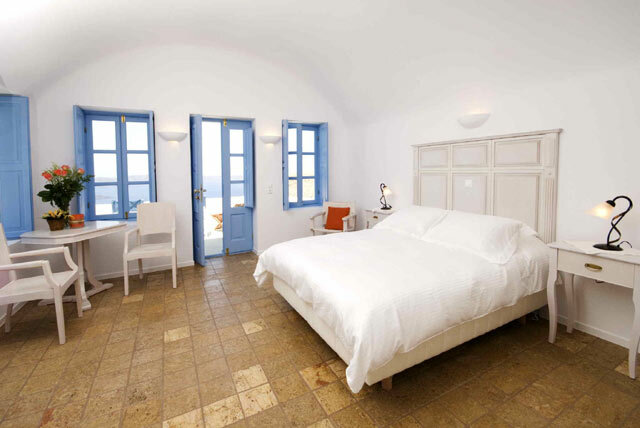 The suites are close to the Cathedral of the island at the center of Fira on the small footpath leading to the south part of the city. 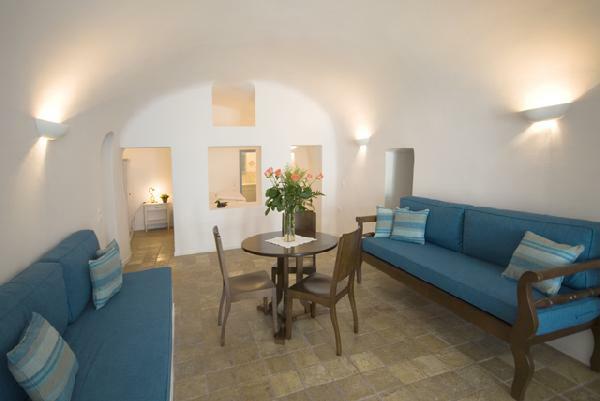 The whole area is characterized by tranquility and privacy. 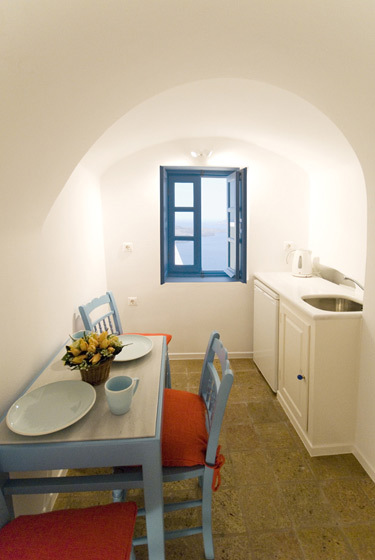 The distance from the center of Fira (banks, buses, taxis etc.) is around 150m, from the public parking 200m, from the Cathedral 50m. Taxis approach the hotel entrance in a distance of 30m. 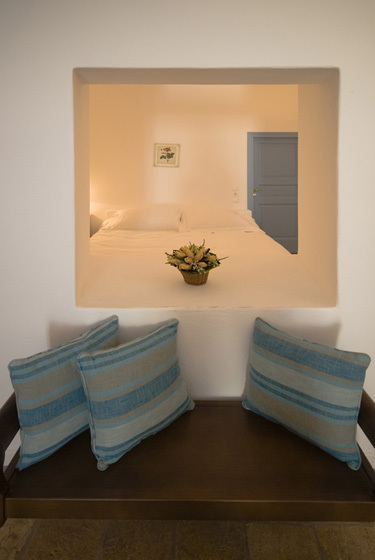 Prices include 2 persons stay, with breakfast and all taxes.